You are here: Home / Teacher Compensation and Classification / Do Methods of Teacher Compensation Affect the Ability to Recruit and Retain Effective Teachers? There are many things about education that has changed over the past several decades. How teachers are compensated is not one of them. Do methods of teachers’ compensation make a strategic difference in their effectiveness? Do teacher pay-for-performance methods work? Can districts alter their pay schedules to attract and retain talented teachers, while also fostering the teamwork needed to meet student needs? Are job evaluation methods used in most other industries a good fit for education? These are important questions that districts must consider as they try to meet the educational needs of students while recruiting and retaining effective teachers that will enable districts to meet their goals. The single-salary schedule is the cornerstone of most school district compensation plans across the country. A method of teacher compensation that was implemented primarily to reduce gender bias in teacher pay may be nearing its end. Many new methods of teacher compensation are developing. Today I’ll discuss three methods that some school districts may be considering. Schools are becoming more reliant upon state and federal funding each year. As a result, legislators and special interest groups are able to assert themselves into the operations of school districts. Increasingly these groups believe teacher compensation, specifically pay-for-performance, is the lever to pull to affect student performance. Many Fortune 500 companies utilize some type of pay-for-performance programs. 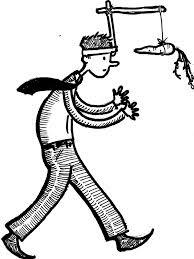 Motivation is often thought of as a “carrot and stick” approach. 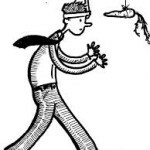 Teacher pay-for-performance is believed to be the “carrot” that is dangling in front of teachers that will ultimately lead them to achieve desired goals. If large corporations have used it, shouldn’t school districts? A recent article from Harvard Business Review suggests that pay-for-performance may not be the performance cure-all that may large companies once thought it was. Some of the most damning condemning statements from the article reported, “Performance reviews that are tied to compensation create a blame-oriented culture.” The article echoed research that has also found pay-for-performance reinforces hierarchy, undermines collegiality, works against cooperative problem solving, and discourages straight talk. These aren’t exactly behaviors school districts want to reinforce with their teachers. All of this presents a bit of a conflict within education. Most teachers choose the profession of education largely because they desire an opportunity to work with students and build positive relationships with them. Incentives that “excessively narrow” a teacher’s focus exclusively to factors related to increased pay may cause teachers to perceive less meaning in their work. Meaningfulness is strongly related to engagement and engagement is a major factor of job performance. Essentially, pay-for-performance may the narrow the focus of teachers to achieve short-term goals, but teachers may perceive less meaning, collaborate less, and could develop tunnel vision regarding test scores that may affect student relationships and job satisfaction. These factors should be considered before any district takes the leap to a pay-for-performance compensation plan for teachers. A more recent method of teacher pay is a market-based approach. One school district in Colorado is using the basic economics of supply and demand to determine how they are going to compensate their teachers. A December 2013 issue of Workspan magazine details how the Douglas County School District implements their market-based pay system. The district bucked the old system of basing pay on years’ experience and education and instead focused on increasing pay for positions that are hardest to fill and retain top teachers. The school district researched the number of applicants and retention rates for every teaching position in the district and decided to establish higher base pay rates for the positions that school principals had the most difficult time finding and retaining top talent. This study on market-based pay for teachers discusses some elementary positions have over 30 applicants for one open position, while only having 1-3 applicants for harder to fill positions like nursing or special education. The district noted the abundance of elementary teachers coming from local colleges, but the lack of qualified teachers to fill positions in middle school and high school math and science positions. In response to the talent imbalance in their market, the district has created a five band salary structure that provides higher pay for teachers based the market availability of applicants and positions with traditionally high turnover. Positions compensated at lower bands are most elementary grades (with the exception of Kindergarten), physical education, social studies positions, art, and drama positions. Some positions in the middle of the market-based pay band are counselors, English teachers, foreign language teachers, kindergarten, and literacy teachers. Positions in the highest bands include math, science, health services, psychologists, special education, and occupational therapists. It should be noted, these bands are based on the market availability of highly qualified applicants for this particular school district. Obviously, some areas may have different needs and availability of talent. It is a system that must be tailored for each respective area and it should be re-evaluated over time as market conditions shift. 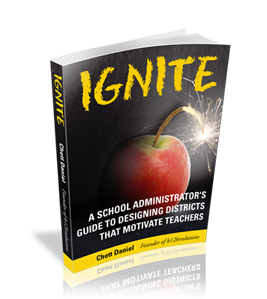 This is a novel approach to teacher compensation and will be watched closely by many school leaders as they search for effective contemporary methods of attracting and retaining effective teachers. The IT industry has had the corner on models of career based pay for some time. Effective software development companies select talented programmers and invest in and reward their continued development within the role of programming over long periods of time. Programmers know they need to be proficient beyond minimal certifications. IT companies retain their top talent by rewarding those who seek out developmental opportunities applying learned skills in innovative ways that help the organization achieve its strategic goals. Tech companies expect their employees to take a skills inventory and compare the results with the competencies the organization has determined is most effective in meeting its goals. Techies are likely to feel committed to their work and their organizations because they are given a pathway to professional development that is meaningful and aligned to shared goals. Furthermore, and likely most important, effective tech companies don’t promote good programmers out of their positions. Many programmers have the opportunity to increase their income as they take on additional responsibilities within the same job function. Top talent is retained while programmers have a chance to broaden their influence and collaborate with peers while sharing their insight to increase the knowledge capital of the entire organization. It is only recently that teacher compensation methods and school organizational structures have begun to resemble those in the tech industry. Development strategies that require teachers to evaluate their existing skill set and take ownership and action in their own professional development is worth considering. In many states the threat of ending teacher tenure is ever-present. Organizational development that supports and rewards self-development could provide a safe guard for teachers to ensure their skills and abilities match the changing demands of school districts. It may also be time to consider an update in the career path among those working for school districts. Currently, most teachers who want to increase their pay (beyond minimal increases for years’ experience) must choose between leaving the profession or becoming an administrator. Effective teachers need to be given an opportunity receive greater influence and more income, yet remain in the classroom or coach and develop other teachers in the classroom. The development of teachers is typically a top priority of principals, but the multi-faceted demands of the position prevent most principals from spending the time needed to properly coach developing educators. When effective veteran teachers are given the opportunity to promote to a higher pay position that allows them to broaden their influence and share their expertise to developing teachers, the knowledge capital in school districts will grow exponentially. For the time being, school districts still have the latitude to choose their own teacher compensation methods. Traditionally, compensation methods for teachers have made perceived fairness a top priority. Today, however, the retention of teachers in critical roles has become increasingly difficult and labor laws deter disparate treatment on the basis of gender, race, and age. Teacher compensation methods that focus on solely on fairness, which is not the same as equitable compensation based on job demands, training, and external market demands, are dated and have nearly ran their course. School districts need to find ways to implement compensation methods for teachers that are both internally equitable and externally competitive. Traditional teacher compensation methods of the past are somewhat of a blunt instrument used to solve issues of its time. What method of teacher compensation is your district using to meet the educational challenges of our time? My preferred compensation would be to retain the single salary schedule and have teachers reach the maximum on this schedule – say – ten years but from that point on raises would be limited to cast of living adjustments. I believe this compensation system would appropriately pay all teachers a “professional” salary while allowing districts to effectively manage overall personnel budgets.